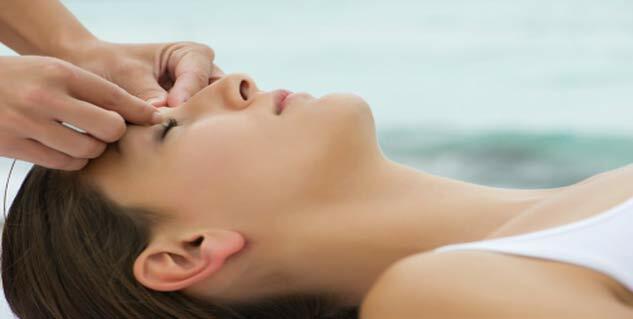 Acupressure uses pressure on certain parts of the body to relieve tension. Art of healing is based on energy pathways in the body called meridians. Chest centre lies right at the middle of the breastbone, under the fourth rib. Acupressure is the use of pressure on certain parts of the body to relieve tension and restore inner harmony. It is an alternative medicine technique that can help in promoting good health, relieving stress and preventing the occurrence of illnesses. All of us experience anxiety because of the everyday stresses that life exposes us to such as road traffic when trying to rush to work in the morning, a long line outside the bank, etc. Anxiety being one of the most common mental problems affecting people worldwide comes under the category of common illnesses that acupressure can treat. Discomforts caused by anxiety include difficulty swallowing, dizziness, dry mouth, fast heartbeat, fatigue, headaches, inability to concentrate, irritability, muscle aches, muscle tension, nausea, nervous energy, shortnes of breath, sweating, trembling and twitching. Also, when there is excessive fluid in the blood, outpouring of stress hormones and chronic anxiety can affect the individual’s health greatly. Some of these problems include digestive disorders, supression of the immune system, muscle tension, premature coronary artery disease and heart attack. This one lies right at the middle of the breastbone, under the fourth rib. Measure four fingers just on top of the bone base shut your eyes. Start breathing deeply and slowly and try to concentrate. Use three fingers to apply a gentle yet steady pressure on this spot. You must feel the purgation of tension and imagine that it is quitting your mind. This pressure point is located right in between your eyebrows. More precisely, it is the spot right in the middle of the forehead and the nose bridge. Press this point with two fingers. Insomnia and tension are common off shoots of anxiety, which can be relieved by exerting tension on this pressure point. This spot lies one inch below the skull base and about half an inch above the spinal cord. Apply steady pressure here for effective relief from nervousness and tension that trigger insomnia. This point helps ease tension, nervousness and irritability. It is located between the spine and the shoulder. Besides anxiety, you could get instant relief from nausea and palpitations. This point is considered the best acupressure point to get relief from fear. This pressure point is located in the wrist crease, towards the side of the little finger of the inner arm. Press this point steadily to get respite from emotional instability. The toxins that have built-up in the areas of the blockage flow easily through the bloodstream and out of the body. Sometimes, you may feel nauseous (from the release of the toxins) when exerting pressure on the respective point, though this feeling passes away shortly after. It can help reduce your blood pressure, regulate menstrual cycle, lessen the pain of labour, treat mental anxiety and tummy issues. Medical problems such as indigestion, nausea, headache, insomnia and migraines can be easily treated with acupressure. It helps increase overall energy levels in the body. It is important to note that acupressure provides relief over a sustained period of time. Although, several medical problems can be treated with acupressure, it must not be by any means considered the only recommended approach to treatment of the particular problem. In fact, acupressure can be used as a complement to standard medical procedures. You need to be consistent and practice it twice a week at least to bear its fruits. If you fail to see results despite several attempts, see a professional.